birthdays or get togethers etc. The place needs some character! told him he had to be OVER 21, when he was 21.
their mind and told us all we could go in. I am disgusted with the security at cq on a saturday night. Last saturday 8 females (one including myself) and one male lined up for entry. our male friend is far from anykind of drouble maker sort, he was dressed classy with closed dressy shoes and a shirt and tie. Us females were more than able to ain entry, yet our male friend was not. when we queried the sexcist security as to why.. they responded.. becasue we said so... if we do not know the male and they are not regulars... they do not gain entry.. apparently they have been running the place for thirty years so i commented to the fact that in that case all entrees must all be pedofiles who have been returning for thirty years. Not only were we disgusted that they were rude, we were also appauled by their comments. I am sorry, but how dare they refer to us girls as..."baby" .."look baby"..."listen baby"... who the do they think they are. i am not their baby, im pretty sure my firends arent their babies... and i will not stand for their cheap sexcist remarks. i am seeking management details for this unacceptable behaviour and would like it if people could send their emails to me if they are happy to add their own personal discrepencies or emails to my letter. if anyone knows of head managments details.. could you please post them. thankyou. great night out! have a ball there every time! fantastic music and huge venue!! looooveeee it! the way some these people carry on they have no respect for anyone! really bad human values! just disgusting! this place is a joke in all honesty, what is the point of having a guestlist if your not going to let everybody in? If their is nothing that is stopping people from being let in i.e behaviour, clothing etc them the bouncers should be obliged to let them in, they make their own rules up at CQ. They need to get over themselves, ive heard it isnt even that good. sure the whole crowd is from melton or somewhere. Worst Place Ever!!!!!! The Bouncers are rude and hopefully end up on the front page of the Herald Sun soon.. If Class means a bunch of guys who earn 30k a year and spend more time in front of the mirror then their fake doll girlfriends who would prob melt if i threw water on them then i apperently haven't got any..
Don't you s like the negative feedback people leave on here...Well hello, there wouldn't be any negativity if the people that worked there weren't such disgusting human beings...Grow up, everyone's entitled to their own opinion...It's not the best place in Melbourne & if you think that, you certainly need to get out more..Dull music, rude customer service, dirty venue & incredibly over priced drinks!!! yep cq is an awesome place but the bouncers are c&#%heads that must have been picked on in highschool cos they have issues against random people. all of us had booked the place for a goin away and they let all of us in except a couple of our mates, they were well dressed and all but for some reason. or should i say For NO REASON Refused entry. WORST CLUB EXPERIENCE EVER.. KNOCKED BACK JUST LIKE MEL.. BECAUSE WE WEREN'T "REGULARS" BUT I THINK IT WAS ALSO BECAUSE THE BOUNCERS DIDN'T LIKE THE WAY WE LOOKED.. AND IT WAS MY FRIEND'S 21ST ASWELL.. WHAT A COMPLETE WASTE OF TIME! hot...hot people, hot tunes, hot bar staff! the ladies there are ridiculously good, the musics good, the people are good, the venue is wicked! what a waste of time.! Ive never been knocked back from a club in my life! Went with a couple of guys and girls. Looks like they didnt like a couple of members of our group..?? Do they not like dark guys at CQ..?? Maybe they should put a chart at the entrance for height, weight and colour restrictions! Then maybe they can reconsider their bouncers too who would not fit into any 'ideal' parameters. And I aint saying Im bad looking either.. Would not recommend this hole to anyone who doesnt kiss the mirror when they look into it. And girls, dont try and dress respectably when you visit, hang the puppies out and hitch up the skirt cos that is sure to get you in! Are their any decent, normal clubs around these days..?? What a superficial piece of crap! Played at CQ last night. Great to see this venue going from strength to strength. Massive night with a good looking crowd out to have an awesome night celebrating the Mighty Hawk's win. Hope all who were there enjoyed my set! Don't have much respect for this place, came with a big group of girls (good looking) and a few guys and they allowed everyone in except me, why? being italian looking apparently. Why should that matter?. My girlfriend said i was with her and they still said no. couldn't believe it, so after having a few nice words to say to dale and the bouncers a group of us gave them the boot and had a mad night at seven instead. CQ is only good if you A. know the bouncers and Dale etc B. a pretty boy C. famous or D. if you dress up like a skank and look like a model. Regular joe blows have no chance. yea ive only JUST turned 18 and and am still pretty fresh to the whole clubbing scene, ive got a 19th a CQ saturday so ive got a quick question: have i got a higher chance of getting in with just me and a mate, or shud i try to get a larger group to get thru the door? Mel, I don't think anyone but them can define their door policy - its their call. When its busy they make sure the people they want get priority. Present well, be early, be polite, an don't be drunk and you're a good chance. hi, i am looking to go to CQ this saturday night. im a bit worried about everything ive read about ppl not being allowed in. WHat exactly is their "door policy"? Will girls in short dresses get in? good music, nice people, good open space!! Hey Jody, check out the club's website www.nighclubber.com.au they should be there. Were abouts can i view the pictures that were taken from a few saturday night's ago?? cant seem to find them. Cq is the best, loved it. Bouncers are the most pathetic people i have ever come across in my life. Have not been knocked back but still can't get over how rude they are. Worth going just to get a good laugh at them. The out door venue is chill and cool and yet u can still hear the beats and tear up the dance floor. Toilets are always nice and clean. it is supr dark which i love. Nice balcony area. Easy to get to. Forget all the newcomers: Dale and Danny have still got it. Thanks to all who voted us as Classiest Night, and Best Looking Crowd! We're still going strong after a year, with big night after big night! Catch new resident Matty G Saturday nights. Stay tuned for details about our massive NYE party, celebrate the new year in style on our massive balcony. Dale and Danny also are excited to announce the opening of our Friday night and Sunday arvo/evening at The Beach, cnr Victoria Ave and Beaconsfield Parade Albert Park, right on the beach. Check out www.nightclubber.com.au for all the details, it's going to be the place to be this summer! Looking forward to coming down to Melbourne playing at CQ this Sat, should be massive: Grand Final Night. Catch me playing the early set down there 10-2, then followed by Finlo taking it home. Hope to see you all on the dancefloor! Ok so - firstly if you are female and have been KB'd from CQ I wouldnt be advertising it on here, I'm sorry to break it to you but it probably means you dont fit their idea of attractive or you are above a certain size. Having said that as a girl who is ok enough to get in but not a 'model' I have to say that if you don't get in because of that you probably don't want to get in, because everyone else in there does, it a definite type of girl and guy in there and rather than complain about not getting in just accept it and realize there are plenty of other great places out there that would be happy to accept your patronage. But if you do get in CQ is great fun, awesome music and atmosphere, I would highly recommend it. lots of dance room and complimented with an area to lounge around! I went to CQ on Saturday night to be faced by the usual 30m line down Queen street. GIRLS: Just ask the bouncers, I went to the front of the line and asked politely where I should queue and the bouncer let me and my two girlfriends in straight away! A great night, should be amazing in summer! I was at CQ on a saturday night. The 14th of July actually, and I found the security out front to be nothing but nice, accomodating and friendly. I had an amazing night and think it's a great venue! I'm sorry that you don't feel the same way because you really are missing out! Peter, whilst I appreciate your point, you have seemingly missed mine which was not the fact that I was knocked back - I'm sure I'll get over it - it was the fact that had I known what rude pigs the security people were on a saturday night at CQ then I would not have wasted my time showing up to be told in a completely unnecessary, humiliating way that I was not going to get in. I read this forum for the good and the bad, not to only read fluffy posts about clubs. Clearly the fact that the subject of the rudeness of security at CQ on saturday nights has become a topic of discussion on this site and others is a fairly good indication that the so-called success of the night doesn't necessarily extend to gaining a reputation as a club that respects its patrons. Bottom line is - the guys out the front on saturday nights are rude, patronising buffoons and need a good lesson in customer service, dealing with the public and manners in general and the people who read this forum have every right to be forewarned before being subjected to said behaviour. Friday nights at CQ on the other hand.....love it. So Megan, in your time reading these forums you've never seen the comments about people being knocked back from CQ?? Without condoning rudeness, when a club's packed the door policy usually is that the door staff have complete discretion and can let in who they like. Clubs don't knock back people for no reason, the door staff have the task of filling the club with the people that the promoters want in there. If you do not fit this subjective profile, you won't be let in. I've worked with the CQ promoters for a very long time, and they get it right pretty much all the time. That is why they have been in business for so long. You can't please everyone all the time. Ben, while it may be the case that you don't want negative postings re CQ and that people want to hear the goods things not whose been KB, I for one would have liked to know, before I was humiliated by the disgustingly rude bouncer at CQ on the Sat what exactly this supposed 'door policy' is supposed to be so I didn't waste my time. It also would have been handy to know that I could have expected to have been treated like a speck of dirt on the sidewalk rather than politely told that I didn't meet said 'door policy'. Door policy or not, there is no excuse for the blatant rudeness and attitude that the security at CQ on Saturdays seem to think they have the right to dish out. If there is some sort of door security award for being a rude pig - these guys win hands down. Ah well, word of mouth is a powerful thing, as are these forums and people who use them expect the good bad and ugly, not just the usual marketing rap. By the way, what actually is this mystical 'door policy'??? alcohol and spew. Places with carpet smell. I like it. No smoking indoors, seating indoors and outdoors. don't meet it I wouldn't be telling the world. We have a policy here too: no negative postings. Any more will be removed. That goes for all venues. liked, not where you were KBed. you would know that the place is packed and they're selective on the door. playing 10-2, some excellent commercial house for you all. - who is the photographer with? Love the new blue nightclub at CQ. Friend wants her 21st there and I want to organise a guest list for her. How would I go by doing this? Is there a phone number or website for new blue at CQ? 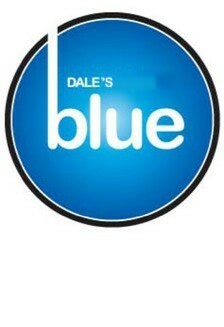 every week with monthly guest appearances from myself; flying down from "lovely"
The Saturday Night is called: Dale & Danny's Blue. Good Music, Good Ppl. Over all good vibe. That wouldn't be P Willy by any chance would it? Sportz, Wild Bills) is returning to Melbourne for a monthly residency???? coming into Blue Saturday night? opens at 10pm this Saturday.